This heated container works with any lotion and will hold up to 16 oz of hand or body lotion. It takes about two minutes to warm the lotion and then, complete bliss. 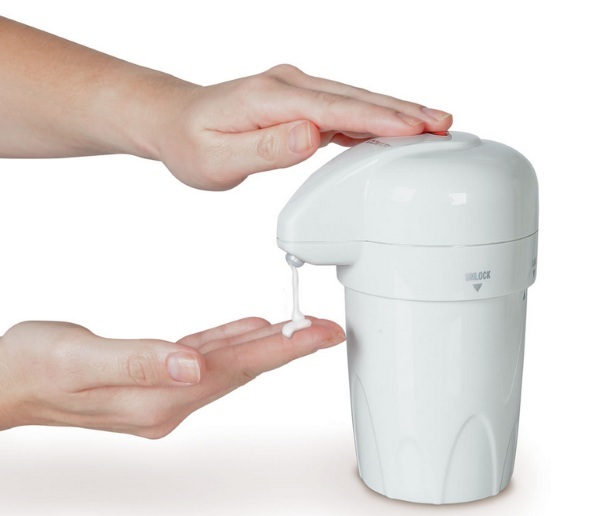 You dispense the lotion by pushing on the top, like a soap dispenser. Only instead of soap, you get spa like goodness at your fingertips. This would be great to keep in the house to soothe hands after using harsh chemicals or just from coming in from outside on a particularly cold day. Or just for daily use to keep your skin nice and moisturized. The warmed lotion is easier for the skin to absorb which helps it hydrate better and is more easily rubbed in as well. The Heated Lotion Dispenser is $39.99.